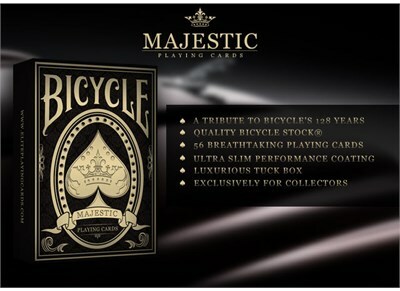 Bicycle® Majestic pays tribute to Bicycle's 128 years of heritage. 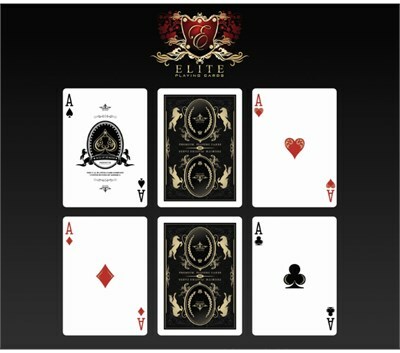 A special collaboration between The United States Playing Card Company and Elite Playing Cards celebrates the history of a unique brand. This exquisite limited edition reserve of playing cards has been designed in intricate detail, exclusively for the most discerning collectors. To guarantee its excellence, the box is made of an exclusive Premium Black Vellum paper and Gold Foil. Each and every card is wrapped in a signature ultra-slim performance coating and adorned with an assemblage of deep gold metallic inks. 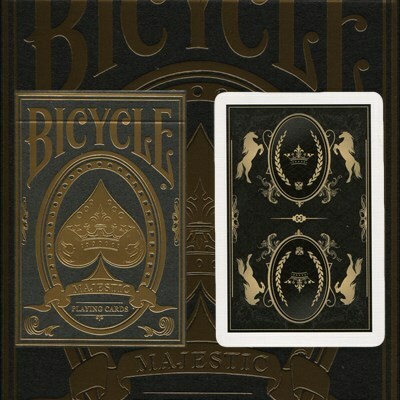 The Bicycle® Majestic is a contemporary deck of playing cards that does not forgets its own classical roots. The luxury of only the best.